Missing Child: Haley Nicole Brandenburg, 17, White Female 5'5" 120 lbs. Brandenburg has a medical condition and does not have access to her medication. She was last seen wearing tan Adidas pants with a pink stripe down the side and a green Subway shirt. She wears glasses and has braces. Missing from Rockwood, TN since 11/05/2018 12:00 AM Eastern. *Update: The suspected vehicle has been located in Chattanooga, Tennessee. Missing From: Rockwood, TN Missing Since: 11/05/2018 A statewide Amber Alert has been issued by the Tennessee Bureau of Investigation on behalf of the Rockwood Police Department for Haley Nicole Brandenburg. Brandenburg has a medical condition and does not have access to her medication. She was last seen in Rockwood wearing tan Adidas pants with a pink stripe down the side and a green Subway shirt. She wears glasses and has braces. She is believed to be in the company of Robert Andrew Garren in a beige 2006 Honda Odyssey van, with TN tag 240KZS. 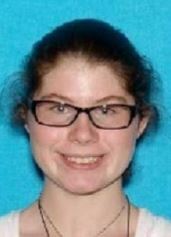 If you have information on the whereabouts of Haley, call the TBI at 1-800-TBI-FIND. 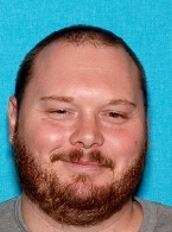 If you have information contact Tennessee Bureau of Investigation at 1-800-TBI-FIND.